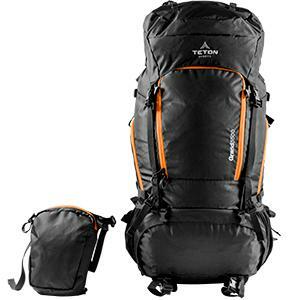 The TETON Sports Grand5500 is an ideal pack for expedition length trips with plenty of space and ability to take you to the farthest reaches of the world. With endless pack configuration options and usage, this pack offers great crossover through various outdoor sports without adding unnecessary weight or bulk. 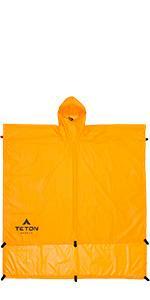 External 3L zippered pocket unbuckles from the pack to create separate daypack. 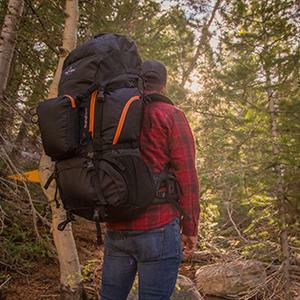 The TETON Sports Grand 5500 is a large capacity internal frame backpack, developed by other rugged backpackers, that meets the demands of your longest and most extreme adventures. 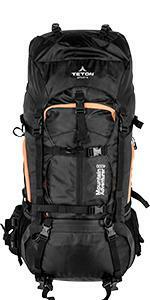 It can adequately carry all the backpacking gear you need for weeks in the backcountry. 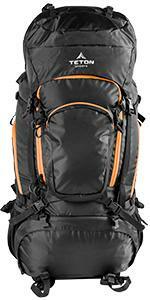 While the size is great, the features and options of this pack set it apart from the rest: The pack is setup for hauling all your alpine equipment including skis, snowboard, or snowshoes; the durable pack shell is made from treated 420D Oxford, which can stand up to even the roughest terrain in the most extreme parts of the world; oversized zipper pulls on the exterior pockets and main compartment zipper are easy to use, even with gloved fingers. The Grand 5500 provides superior comfort and a precise fit with the help of tension adjustments at the shoulders, chest, and torso. Aluminum stays provide strength and support right where you need it. The dual waist belt has wishbone construction to sit comfortably on your hips. A thickly padded lumbar area provides exceptional lower back comfort. Other comfort features include thick shoulder pads and air channels along your back to maximize air circulation. The Grand 5500 is also hydration compatible with an integrated Velcro hang tab for easily hanging your hydration bladder. Room enough for a large 3-Liter bladder. Bonus features include: An exterior zippered pouch that doubles as a removable 3-Liter day pack; two mesh pockets to fit water bottles or other items requiring easy accessibility; multiple side compression straps, and an upper compression strap that help keep gear cinched tight to reduce pack shift. 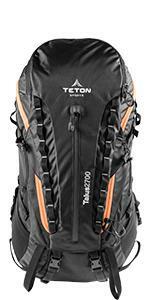 Limited Lifetime Warranty – TETON Sports strives to manufacture the best possible products for our customers. Our limited lifetime warranty covers products against defects in materials or workmanship. This warranty is cheerfully extended to the original owner only and excludes normal wear and tear (e.g., zippers that wear out after extended use) or misuse. Please follow care instructions. If, after inspection, a product is determined by us to be defective in workmanship or materials, we will repair or replace it at our option, at no cost to you (the original owner). Contact customer service for assistance by visiting us online at tetonsports.com to obtain a return authorization number. Shipping fees may apply. For international warranty claims (outside the United States), shipping and duty fees are the responsibility of the consumer. 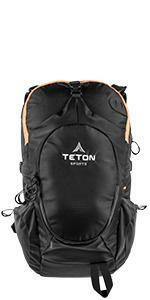 Teton Sports Grand 5500 Backpack - High Quality and Budget Friendly!